Pretty Pantry – I’m pretty obsessed with this pantry at the moment. I would love to have all those clear containers and awesome labels in my pantry (which looks like a bomb exploded). The menu planning labels on the next page are super awesome as well. I like their idea of putting it on the inside of the pantry. Getting from Good to Great Photos – I found this really useful and the specific advice on using Pinik to be super helpful. I’m trying to learn to take better photos with the equipment I have now. Top Ten Cliches About Romance Novels – I loved this article. LOVED IT. You should read it and love it too. And then we can all be agreement that romance novels do not make one unbalanced. 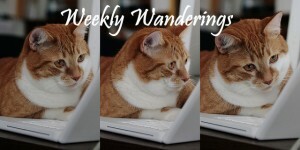 It’s kind of a slow week in the blogosphere…I couldn’t find much else to share. Do you have anything awesome you’d like to share? 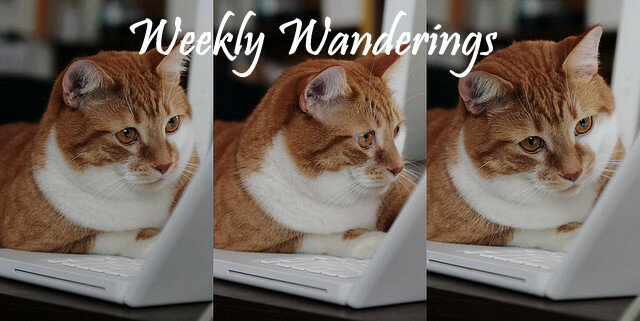 I’m giving away a $20 Visa gift card to celebrate my new blog design. Enter now!! While the recipes looks great, and I will be back to explore them further, thanks so much for the link to the photo improvement article. I am a new blogger and also new at using a digital camera and editing photos. Need all the help I can get. I am printing the article out and studying it. Great find. I thought that was a great article! I’ve been blogging for a while, but I still need lots of help, *especially* when it comes to pictures. I’m loving the new look!! Thanks for the recipes and for the other great finds this week. I saw that photo tutorial too, and am excited to try some of those tips out. Thanks! And as always, thanks for hosting the link up! Um, that is the most amazing pantry I have ever seen. Thank you SO much for the mention! I love those labels too! You’re welcome! It was a great article! !